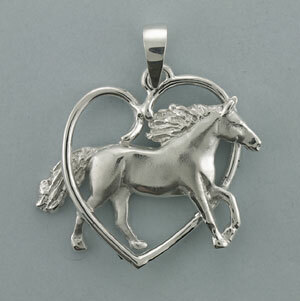 Our silver equine collection is perfect for that person that lives for their horse. 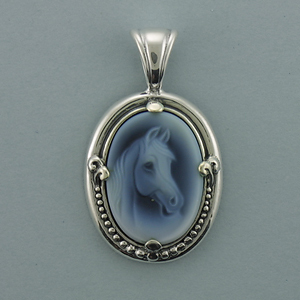 Our “New Generation Sterling Silver” resists tarnish and rarely needs polishing. Additionally, it’s a more brilliant white color than traditional silver. 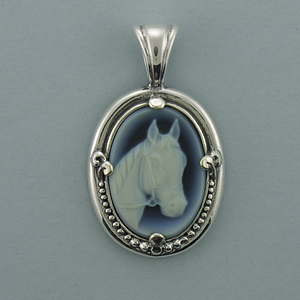 Our equine collection makes a great gift and we have gift certificates available if you want to give the gift of choice when it comes to custom jewelry for horse owners. 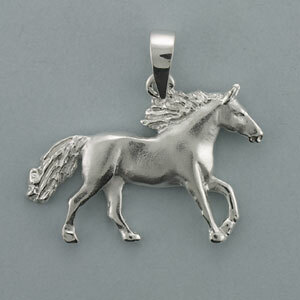 Also, don’t forget to purchase a silver chain to complement your horse pendant. If gold is more of your style, we invite you to take a look at our 14K Gold equine collection.